I had a work meeting so I wanted to have a nice top but still wear jeans so I could do all my normal running around. My mom really love this top so it might go missing from my closet. you look lovely in blue! cute look! That is a very cute top, I wouldn't blame your mom if it did disappear! 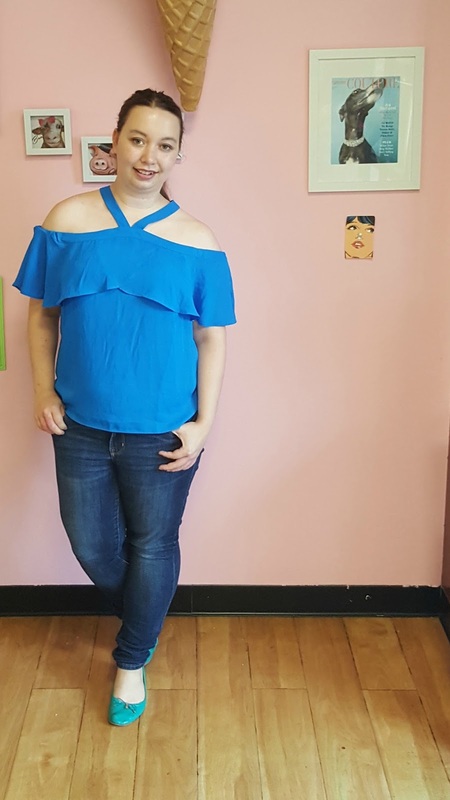 I love this pretty blue color on you- and I'm all about the cold-shoulder tops right now! You look stunning in all of these photos. Love your outfit! You wear this so well, and I love the blue color on you! Such a cute top on you! I love the electric blue! 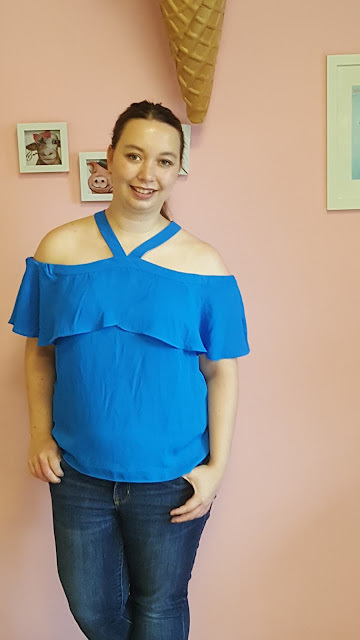 A bright blue top- so fun!